For Year 7, the unit is based on Risk. ‘Progress involves exposing ourselves to and considering the impact or forms of danger, harm, uncertainty or opportunity’. As their Entry Point, the students took part in an exercise involving safety in the mountains when doing outdoor activities and winter sports. For Year 8, Competition is the theme for their curriculum unit. ‘Trying to beat others has good and bad consequences’. Their Entry Point took them to the European Curling Centre in Champéry. 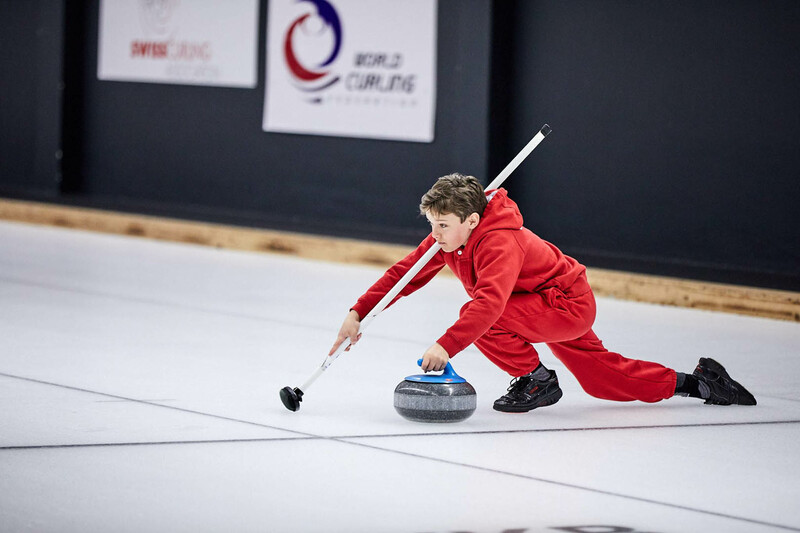 After an hour of instruction with qualified trainers, the group took part in a curling competition - with a pizza meal as a reward for the winners. For Year 9, The Big Idea is based on Interpretation. ‘Only a very few things are true for all people’. Vevey is the headquarters of Nestlé and home to their food museum - the Alimentarium. Recently refurbished, this is highly interactive museum based on all aspects of food and nutrition. The focus was on the social aspects of food - particularly on our varying opinions on what is good food or not, relating to such elements as culture, religion, age and lifestyle. The Entry Point for an IMYC Big Idea provides a springboard into the unit of study, focussing the students’ attention and stimulating interest in the subject-based topics that will follow. Mr. Lineham joined our school in April 2016. Derek works closely with teaching staff, to spearhead future development of teaching and learning throughout the school. Mr Lineham has over thirty years’ experience in international boarding education. He holds a Master’s Degree in Educational Management and is also an experienced leader of accreditation teams for the Council of International Schools (CIS). Originally a teacher and Houseparent, he then became Academic Director and finally Headmaster of an international boarding school in Villars (Beau Soleil College). Even as a school leader, Derek has always been an active classroom teacher, constantly reinforcing his knowledge and experience of modern teaching methodology and pedagogy. His overriding goal, in close collaboration with all the team, is to guarantee the personal and academic growth of each individual student at La Garenne.